The Citizens Multimodal Advisory Committee is comprised of individuals in the community and includes representatives of various agencies and transportation interests. Members of this committee must reside within and/or represent agencies/special interests that focus on the interests of the CRTPA planning area. The committee’s purpose is to provide comment and guidance to the CRTPA Board on transportation planning and policy issues. The charge of the CMAC is to reflect a broad cross-section of residents within the CRTPA areas representing a wide variety of interests and special needs. Members must also be interested in the development of an integrated, safe, efficient and cost-effective transportation network for all users. Special interests to be represented include child/youth advocates, minorities, off-road cyclists, pedestrians, persons with disabilities, road bicyclists, senior citizens, students, transit riders and the transportation disadvantaged. The CMAC has vacancies for individuals in the community who are interested in providing comment and guidance to the CRTPA Board on transportation planning and policy issues. If you are interested in the development of an integrated, safe, efficient and cost-effective transportation network for all users, then this is the committee for you! Fore more information on serving on this committee, please contact Lynn Barr by phone at 850 891-8627 or by email at lynn.barr@crtpa.org. An application to serve on the CMAC is located above. The Technical Advisory Committee (TAC) is the CRTPA’s technical committee and is comprised of local and state planners and engineers with expertise in the area of transportation planning, engineering or management. The TAC provides technical reviews of CRTPA plans, programs, and projects and makes recommendations as to their need, feasibility, technical accuracy and consistency with local, state and regional plans, programs and projects. The TAC assists the CRTPA in carrying out the CRTPA’s planning function through recommendations on various transportation issues. The Leon County Transportation Disadvantaged Coordinating Board (TDCB) is not a committee of the CRTPA; however, it is staffed by the CRTPA. The TDCB is responsible for reviewing and discussing issues relating to providing transportation services to those members in the community who are unable to provide their own transportation to vital services, such as medical appointments and employment. Formed under Chapter 427.11 Florida Statutes, the program provides partial or total funding for over 100,000 paratransit and specialized-needs trips annually. The TDCB requires an elected official to serve as the chairperson. The Gadsden and Wakulla counties TDCB’s are staffed by the Apalachee Regional Planning Council (ARPC). The Transportation Disadvantaged Coordinating Board does not accept members from the general citizenry as appointments are mandated by Florida Statute for specific providers or representatives of transportation disadvantaged persons. 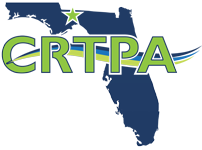 Within Leon County, membership selections are made by the CRTPA. For more information regarding the CRTPA committees or the Leon County TDCB, please contact 850-891-8630. The CRTPA Board is comprised of representatives from Gadsden, Jefferson, Leon and Wakulla counties. Committees include the Citizens Multimodal Advisory Committee, Technical Advisory Committee and Leon County Transportation Disadvantaged Coordinating Board.